Agnes Gonxha Bojaxhiu commonly referred to as Mother Teresa was born in Skopje, Macedonia, on August 27th, 1910 and died on September 5, 1997. Mother Teresa was the Roman Catholic nun, founder of the Missionaries of Charity, and recipient of the 1979 Nobel Peace Prize in recognition of her humanitarian work. 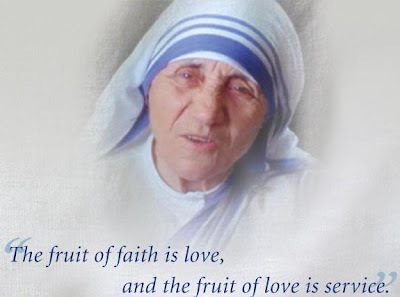 Below are the collections of famous quotes, quoted by Mother Teresa before her demise from this world. Enjoy!